Tranquilino is a man of faith who was imprisoned ten separate times for preaching the truth of God’s Word. This happened when the Gospel first took hold, when religious freedoms were less protected in the region of Oaxaca, Mexico where he lives. Tranquilino is a pastor today, and a key partner in making the Scriptures available to his community. 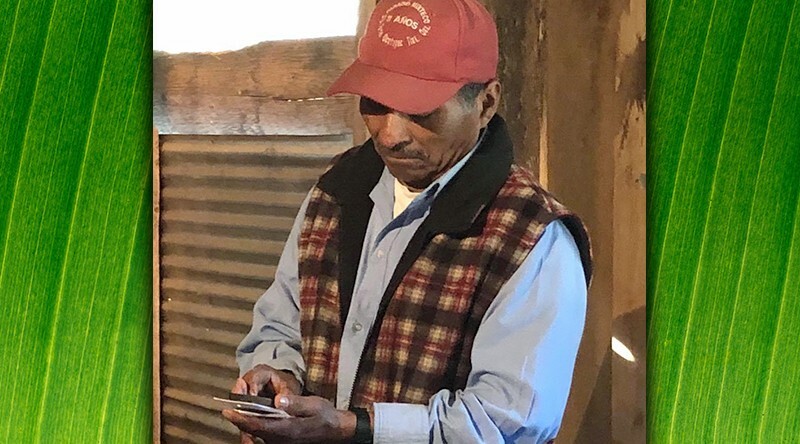 This Mixe-speaking pastor helped us to dub the Luke video in his language, and he also served as the reader for the whole New Testament on the recently completed audio recording. Additionally, he is working on translating a summary of the Old Testament, which we will record in the future. In September, Tranquilino hosted a team of partners from Audio Scripture Ministries, GALCOM International, and Grace Family Church from Tampa, Florida. He took this team to four different villages in his language area, to hand-deliver 170 audio Bibles to families. It would be difficult to say who was more impacted by this experience—the team from the U.S, or the people who received their precious copies of the audio Scriptures. Both English- and Mixe-speakers cried when the time came to say goodbye to each other. One of the greatest joys of the week was celebrating with those who put their faith in Christ for the very first time. Praise the Lord! Please pray for Tranquilino as he continues to boldly share his faith, and for these new believers who are hearing God’s Word! Watch and listen below as Tranquilino plays worship music on the mandolin with other Mixteco believers.